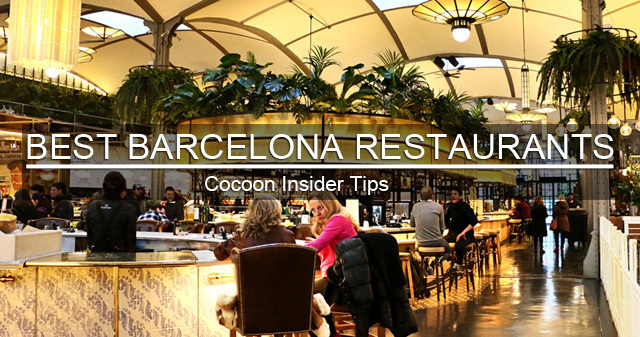 Barcelona has much to offer for food lovers of all kinds, tastes and budgets. 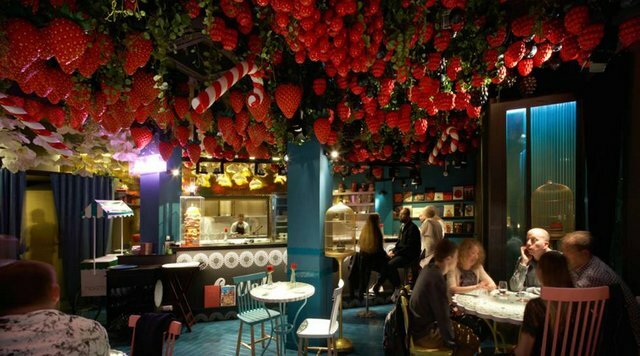 Discover our favourite places in town – all of them tested and approved by us! Every visitor wants to try Spain national dish but this is usually a tourist trap. 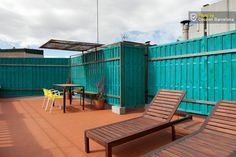 Avoid restaurants around the Ramblas to eat a Paella (or anything else) and head down to the sea to find the best seafood restaurants (although one of them is on top of the hill). 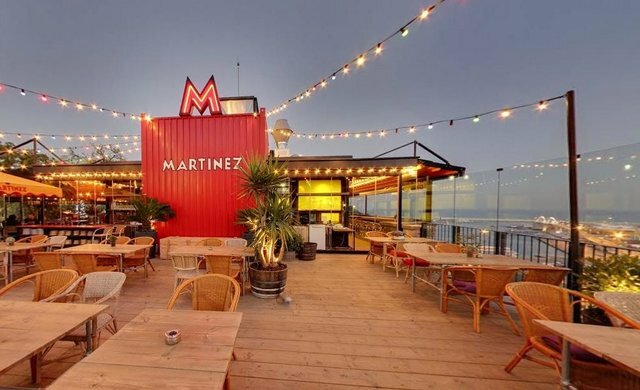 This is our top spot to eat a paella. 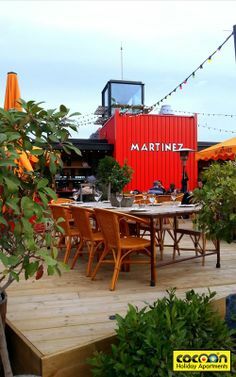 Since their opening in 2013, locals are heading to the hidden Martinez for their famous lobster rice and the stunning view over Barcelona. Unique location on top of the Montjuic hill (most of the taxi do not know how to get there so put the address on Google map). Also a great place for lunch thanks to their terrace. Booking recommended. 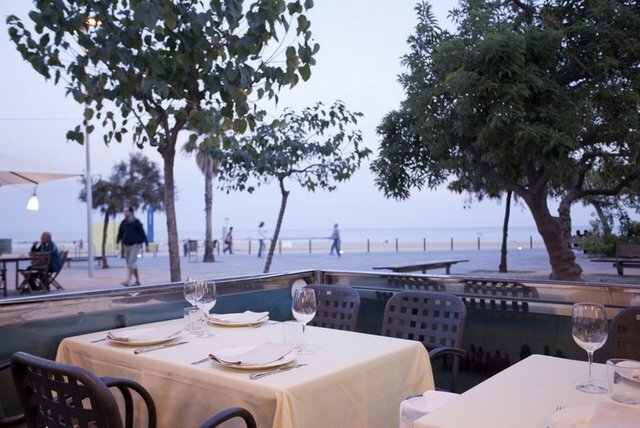 One of the best paella in Barcelona in an informal setting in front of the sea. Joan – the owner – is the son of the well known Escriba family, famous for their pastries. On Sunday, locals gather at Escriba for their paella lunch so book in advance! 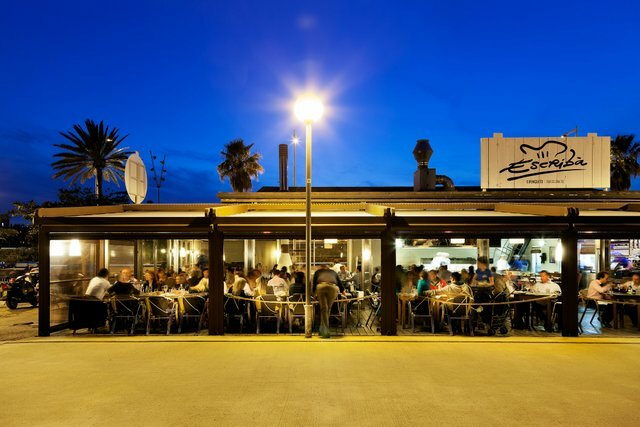 A favorite for seafood at night with a fantastic terrace at the sea. Typical spanish restaurant. Very fresh food and excellent service. 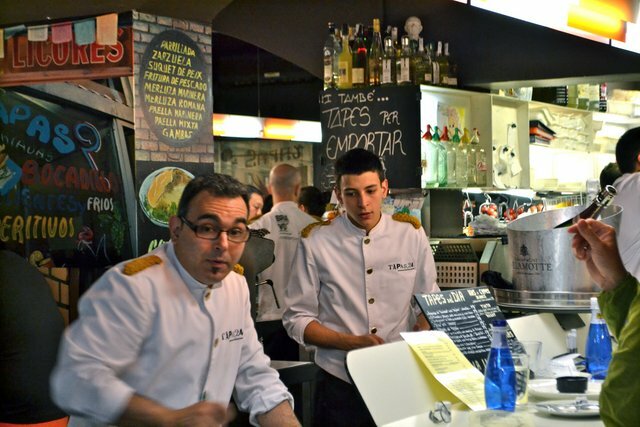 Because of the increasing demand for Tapas, you will find them on almost every corner now and despite the stylish looks most of them are not worthy. 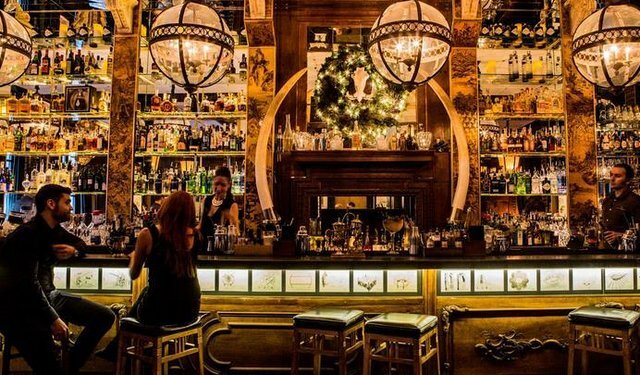 These are our favourites places in town. This place outside the touristic area is loved by locals. Only excellent products! Best experience at the bar. This place is an exception! 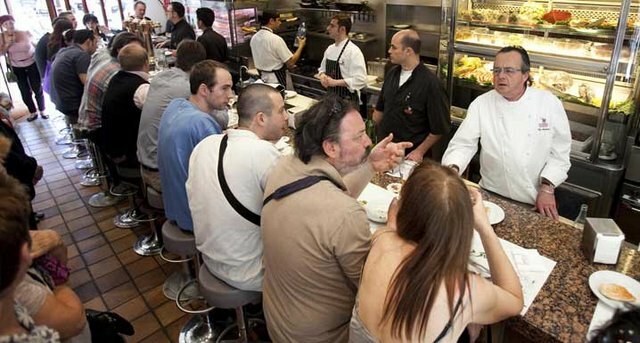 Located by the crowded Rambla de Catalunya, it offers excellent tapas to locals and tourists, at an unbeatable price. This is the reason of their success. 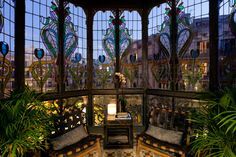 Just by the famous Passeig de Gracia, the famous barcelona chef Carles Abellan has opened this tiny tapas restaurant. Excellent products. 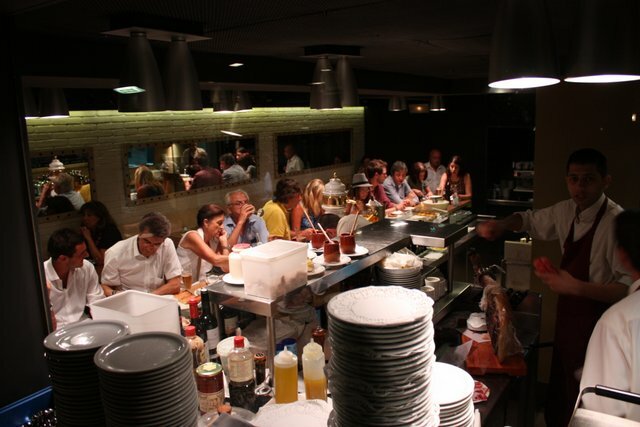 The most famous tapas restaurant in Barcelona (and one of the smallest!). It is said they have the best tapas of the city. The long cue in front of the door might confirm this! To see and be seen. But they are also very good places to eat! 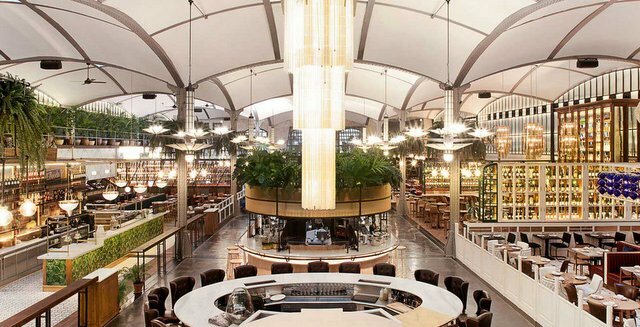 Worth to enter to discover the largest restaurant in Spain. This multi-gastronomic concept offers different corners: meat (our favourite! 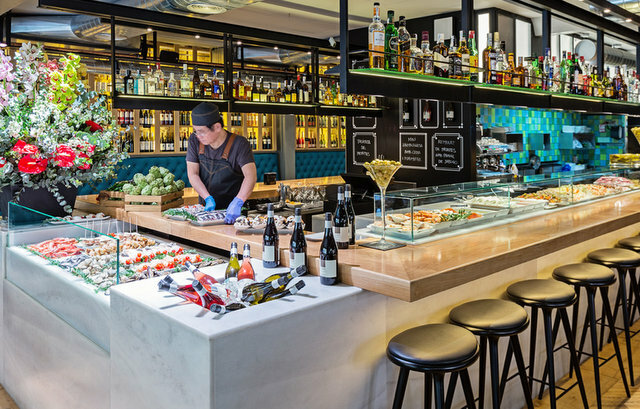 ), fish, tapas, cocktail bar… Unique! 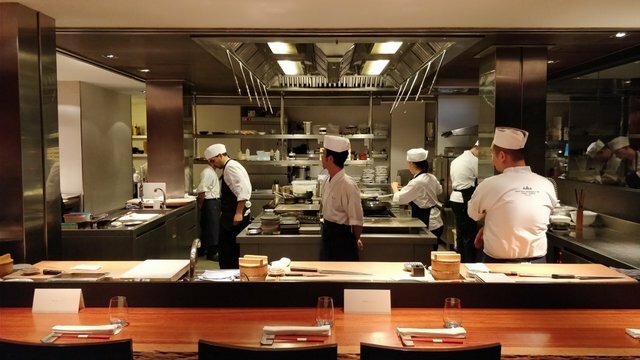 Why not enjoy some Michelin stars in Barcelona? 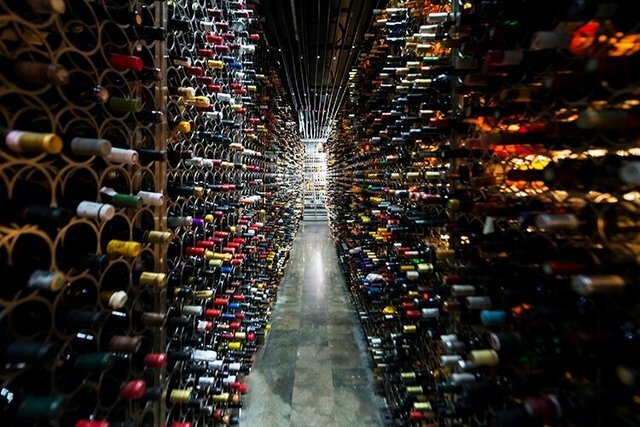 The Wall Street Journal calls it one of the best wine bar in the world. And the food keeps the marks! Minimalist atmosphere. 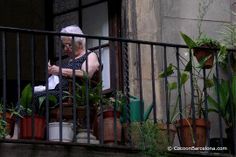 Italians are the largest expat community in Barcelona. 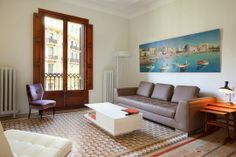 And they offers excellent restaurants, which is sometimes good after too many tapas. 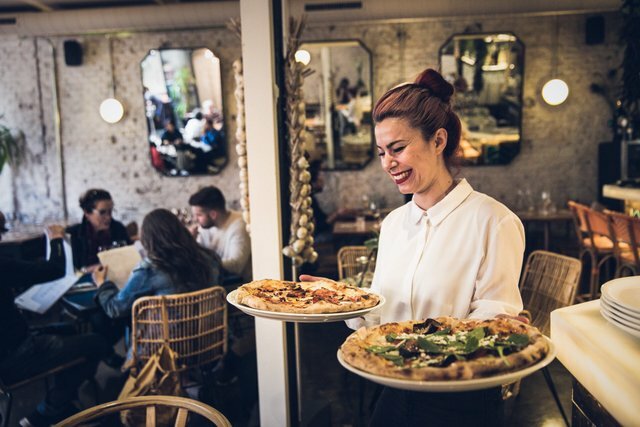 Just like an authentic roman trattoria, they have the best pizzas in town. Also handmade pasta and excellent cocktails. On your way to the Sagrada Familia. 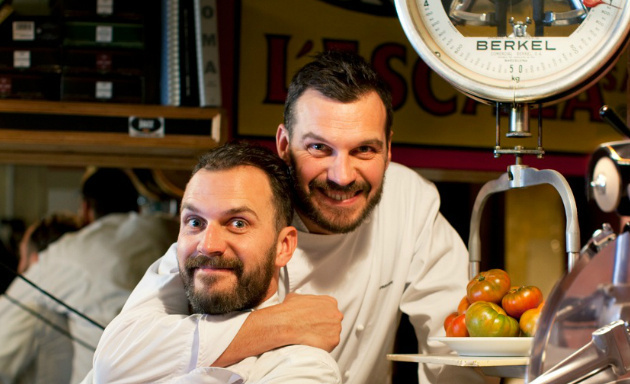 Known as one of the best italian restaurant in Barcelona. Owned by the 2 twins (xemei, in venetian) Max & Stefano. Typical Venetian cuisine (no pizza!). Booking required. A very nice little sushi bar in the booming part of the born area. The chef is from Brasil and he offers a nice twist between both culture. 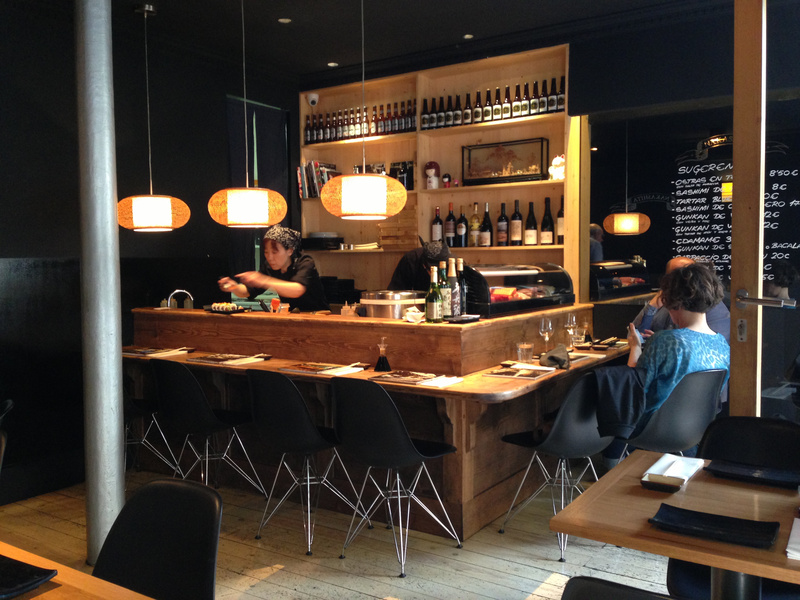 Our favourite japanese restaurant in Barcelona. Open kitchen (try to eat at the bar!) to watch the sashimi being prepared. The brother SHUNKA is more expensive and more fancy! 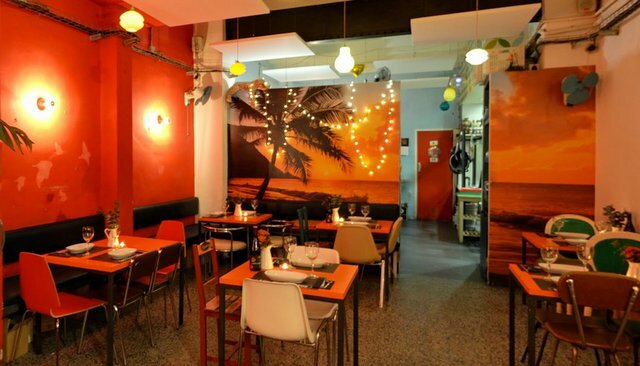 Cool and surprisingly cheap restaurants with delicious food! “Bueno y Barato” (Good and cheap) says locals. Their takeaway sandwiches with homemade bred, fresh vegetables and meat (or vegetarian) will tastefully fill you! You can also eat seated, they also serve dishes. Lots of vegetables, chicken, meat … Usually a long queue! A burger bar with quality products. Artisanal breads, handmade belgian fries and craft beers! These 2 tiny restaurants in the Born offers a fresh and tasteful asian food at un-expensive prices. 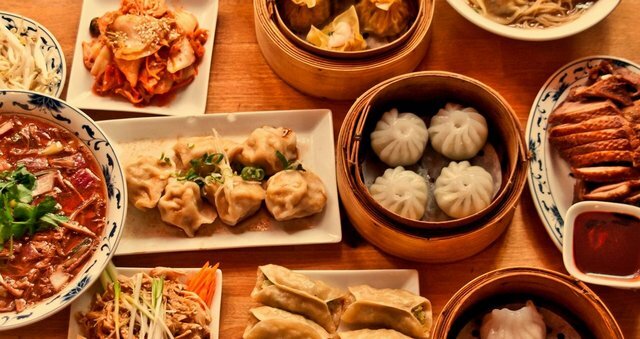 Dim sum, gyoza dumplings and noodle dishes. A must-go very appreciated by locals. 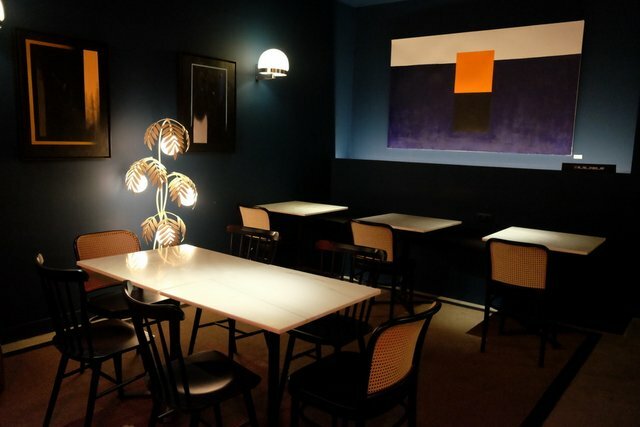 The three Fernandez sisters have created a hip and unpretentious restaurant with a vintage feel (and a cool palmtree 80s foto wallpaper) that specialises in wine and food from their native Leo?n. Daily specials and two turns for dinner at 9 pm and 11 pm – you have to book as the place is always full! 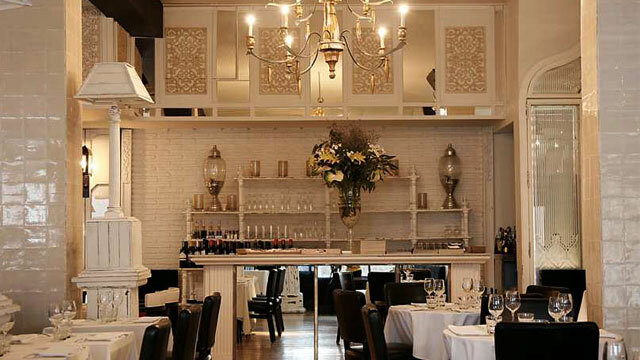 When you take a look at the prices on the menu in this elegant restaurant – you will be positively surprised! 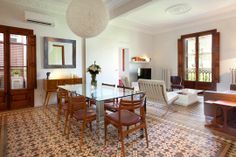 Decorated in a welcoming and sophisticated colonial style by the famous designer Lazaro Rosa Violan and ideal for a romantic dinner – to be followed by a cocktail in the attached “Bar Rosso”.